• Provide fuel wood for domestic and industrial uses, and timber for buildings, furniture, boats, railway sleepers and several other purposes. • Supply raw materials for wood pulp in the manufacture of paper, rayon, ply woods, card boards. • Medicine like quinine and camphor, products like turpentine, resins, oils, alkaloids, dyes, gum, charcoal etc are obtained from forest trees. • Serves as a source of sustainable income through ecotouism. 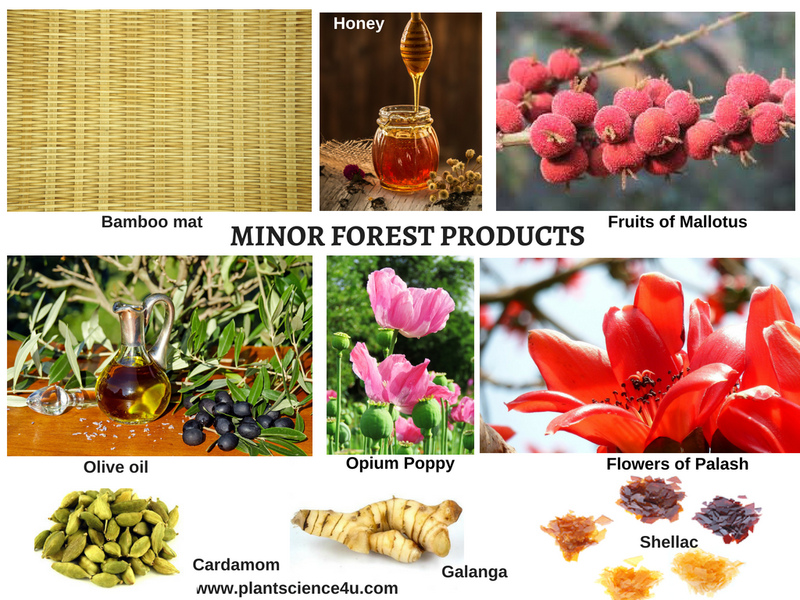 Minor Forest Products(MFPs) include all the forest products, other than wood and timber. They consists of both animal products and plant products.